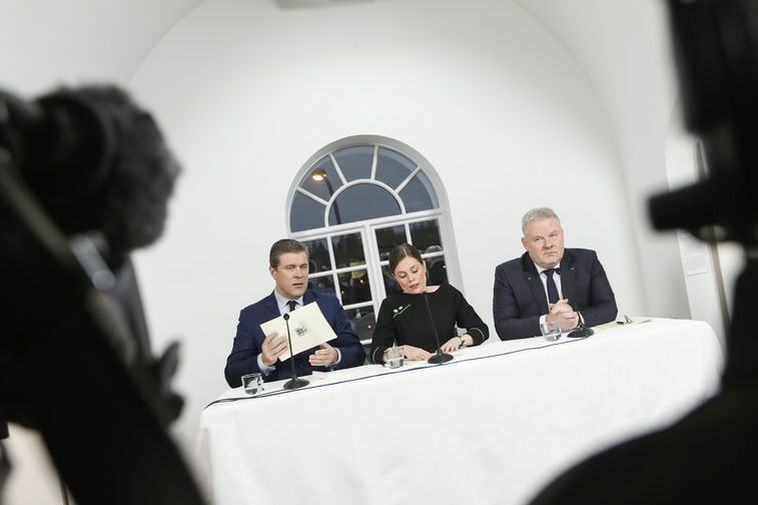 At a press meeting at the National Gallery of Iceland this morning, it was revealed that the Left Green Movement will be in charge of the Minsitry of Health and the Ministry for the Environment. The Independence Party will receive the Ministry of Finance, Foreign Affairs and Justice, and the Progressive Party will head the Ministries of Industry, Fishing, Tourism and Agriculture. The office of president of Alþing, the Icelandic Parliament also goes to the Left Green Movement. It has yet to be revealed which MP's will hold the ministerial offices. The only known office is that of Prime Minister which will be Katrín Jakobsdóttir of the Left Green Movement. The governmental agreement was also presented at the press meeting by new Prime Ministesr Katrín Jakobsdóttir. She said that emphasis will be put on equality of the sexes and the treatment of sexual offences in Iceland and changes to the judicial system there to. LGBT rights will also be addressed and more refugees will be accepted to Iceland. The agreement puts great emphasis on the restructuring of the health care system, the educational system and the transport system in Iceland and also to mantain economic stability. Environmental matters are also at the forefront with the agreement going further in matters regarding global warming than the Paris agreement calls for. Jakobsdóttir then invited leader of the Independence Party, former PM Bjarni Benediktssonto speak. "All Icelanders will enjoy the benefits of this agreement, both with regards to social security and general prosperity," he said.